The aftermath of the super typhoon Yolanda (Haiyan) has brought much damage to Christians living in Leyte, Philippines. Houses and other infrastructures were ripped off. Power & communication lines were down. With such magnitude of damage suffered by the churches in these areas & with our position to help, the Sovereign Grace Bible Church here in Cebu (SGBC), responded a relief effort for the affected brethren. But to better serve the situation, two men: pastors Paul (SGBC) and Dominic (Ozamiz Reformed Baptist Church, bit.ly/1bgje6h) left for the island of Leyte to assess and determine first how best we can help. Riding a motorbike, they made personal visits on churches known to us in every affected place. They have identified ten drop-off points for the relief goods. With scarce & expensive fuel, and a busy port, it was decided to use a truck from Cebu instead for the delivery afterwards. Aside from food and potable water, those affected also need a crow bar and similar tools. A church in Abuyog have pleaded for rice. While some have enough money, yet there is nothing they can buy. Others complained that most evangelical christians were being marginalized in the rationing by other groups. News about lawlessness (eg. looting) in the neighboring Tacloban City, Samar has been reported. Hunger and desperation become common. This series of 4 sermons was preached at a conference for deacons which was held at Trinity Baptist Church in Montville, NJ in July 2012. The title of the series is "The Deacon: His Calling, Character, Life, and Labors". Today, there is a negative attitude towards the study of doctrine. This is understandable but not excusable. It is understandable because emphasizing doctrine has led to fruitless intellectualism, a proud and unloving attitude, fruitless speculation and unnecessary divisions. Also, studying doctrine demands hard work and change which many are not willing to make. It is inexcusable because the gospel we Christians are to proclaim and the faith we are to defend are rich in doctrinal content and Christian unity cannot be preserved and promoted apart from the study of doctrine. Also, how we worship and live depends on what we believe. For these reasons, we call on men in the pastoral ministry, those training for the ministry, and any key men in the church who preach God’s Word to join us as we study the Doctrine of the Christian Life. 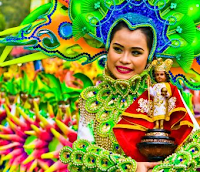 Sinulog - for God's glory? Now, does the Sinulog glorify God? Any bold and honest enough to think this matter through will have to disagree. During the Sinulog, there is much wild party and many get drunk. 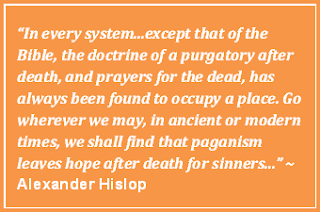 For what energizes and gives life to most people in this religious revelry? It is no secret. It is wine or some other intoxicating substance, and not the Holy Spirit of God. This does not glorify God at all. The Bible says, "And do not get drunk with wine, for that is dissipation, but be filled with the Spirit" (Eph. 5:18). 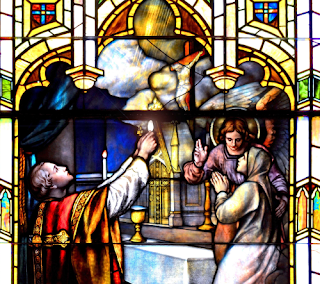 The Holy Spirit should energize and control our lives and activities, not wine or some other intoxicating substance. For what happens when people get drunk? It leads to dissipation - a behavior which allows lack of concern or thought for the consequences of an action" (Louw-Nida Lex). More and more people are finding the practice of going to a Roman Catholic Mass rather empty and meaningless. In an age where people tend to hate just going through the motions without understanding the significance of them, it is not surprising that you may be wondering whether it is worth attending Mass. So what is the significance of a Mass? What is the purpose of it? And why go through it? According to official teachings of Rome, the mass is the highest form of prayer because in it the Lord Jesus is being sacrifice for the sins of the dead and of the living. Amidst much sorrow, anger, and fear, the tragic event that hit america raises many questions that demand answers: "where was god when it happened? ", "why did he not do anything to stop it? ", "did god allow it to happen in order to humble american pride and arrogance?" These questions demand answers. And the Bible, God's word, provides us with definite answers. Here are Four vital biblical principles that would put the horrific event in proper perspective. When a loved one dies, the emotional pain is so intense that one of the last things family members would ever think of is the expense for the funeral. This explains why funeral parlors can charge exorbitant prices for coffins, the production of which cost only 5% of their selling price. This also explains why the rent for a small room in a funeral parlor can cost more than three months rent for a much bigger apartment or house. Moreover, this explains why the most expensive piece of land or real estate is the land where the dead are actually laid. When emotional pain is intense, money is just not a priority. Sadly, funeral parlors are not alone in taking advantage of this emotionally painful situation. Many religious leaders do this also. The Lord Jesus Himself spoke of this concerning the religious leaders during His day. He says, “Beware of the scribes who like to walk around in long robes, and like respectful greetings in the market places, and chief seats in the synagogues and places of honor at banquets, who devour widows' houses, and for appearance's sake offer long prayers; these will receive greater condemnation” (Mark 12:38-40; emphasis mine). Now, is it possible that what the Lord Jesus said about the deeds of religious leaders during His time here on earth is also what religious leaders are doing in our day? This question requires a good and honest answer.